The G-Man's favourite wandering wordsmith returns with brand new single 'I Got Gold'. With 2004's superb debut record Where the Humans Eat already closing in on its tenth anniversary, it's a constant struggle to comprehend just how young Willy Mason is. He's getting older mind! 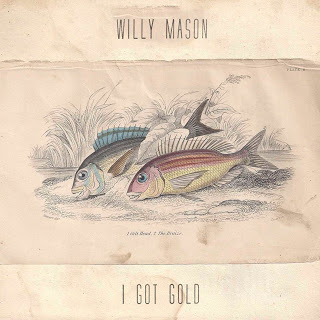 'I Got Gold' continues in the same rich vein of songwriting that has helped the New Yorker slowly - but steadily - build up an excellent back catalogue cultivated with care using three reliable tools: the singer's trademark baritone voice, trusty acoustic and a razor sharp awareness of the world around him. The track will feature on the singer's third studio album, entitled Carry On, upon its release in December.